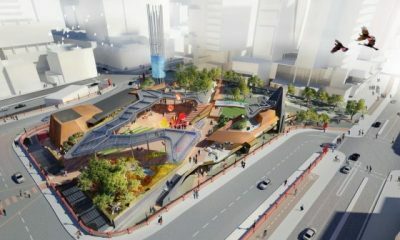 Yagan Square due to open March 3rd! One of Perth’s biggest Commercial Construction Projects, the $73.5m Yagan Square, is set to open to the public on 3 March 2018. Showcasing the high level of talent WA brings to the industry, Yagan Square is set to become the new heart of Perth, connecting the CBD to Northbridge. The 1.1ha site will feature an amphitheatre, children’s playground, a 9m-tall statute by Noongar artist Lance Chadd, and numerous food and beverage vendors. In yet another nod to WA’s aptitude and forte for commercial construction, the project has been referred to as Perth’s very own Federation Square, a comparison to the well-known landmark in construction hot-spot, Melbourne. The success of Yagan Square confirms there is no better time to enter the commercial construction workforce, and Finesse Consulting would love to kick-start your career today.